Google has long been the king of search. Most businesses are well aware of the competition to be listed on the first page for a search term. 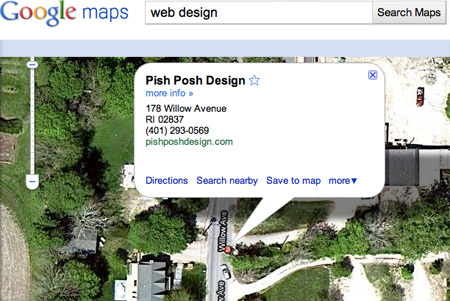 Google also provides an option for brick and mortar businesses to be added to their directory called Google Places. This gives businesses another area to be listed within Google and adds your info to Google Maps with quick access to phone, address and hours for potential customers. You also have the option to list current promotions. Being listed in relevant business directories is a good idea and with the added bonus of having your business listed in Google Maps is another win as it is often used by mobile users on the go.